We are privileged to live in an advanced age at the turn of the 21st century. Electronic devices are everywhere in our world today and make our everyday interactions with the world around us ever easier, safer and more convenient. Although many positive effects have resulted from these devices in our everyday lives, a darker, more dangerous side exists to all of this progress and convenience. Blue light, also known as high energy visible light, is emitted by many of these electronics, and is a serious threat to eye health which was previously unknown and irrelevant in generations past. Living in such an advanced age, each of us, on average, spends roughly 25 hours every week staring at the screen of one of our electronic devices. To put this in perspective, that means that each of us spend more than one entire day, without sleeping, in front of devices that emit blue light that is proven to do serious damage to our visual system. Eyestrain, headaches and fatigue are common side effects. Even more alarming, recent studies indicate that blue light exposure has the potential to increase risk of macular degeneration significantly over time. Those with a history of macular degeneration are at special risk, as well as children, due to large pupils and shorter arms, which cause them to hold electronic devices closer to their faces, both of which allow more blue light to penetrate the eye. Fortunately, cutting edge technological solutions to this growing epidemic exist. BluTech Lenses are special lenses specifically designed to selectively filter out blue light, enhancing visual comfort and minimizing eyestrain. These lenses boast a special state-of-the-art filtering agent within the lens material itself that duplicates elements in the eye, called ocular lens pigment and melanin, which the body naturally produces on its own, and which help filter out just the right amount of blue light entering the eye to protect against unfettered blue light penetration, while allowing proper visual contrast. Recharge is another cutting edge option to help cut down on the harmful effects of blue light. HOYA is the advanced eye care company that produces these lenses, which reflect up to 30% of harmful blue light away from the eye. Between the filtering effect of BluTech and the reflective properties of the Recharge coating, a large percentage of otherwise very harmful blue light never reaches the eye. This is an extremely important element in the long term health of your eyes. Patients who spend hours on electronic devices are at increased risk of eyestrain and glare, macular degeneration or problems falling asleep at night. 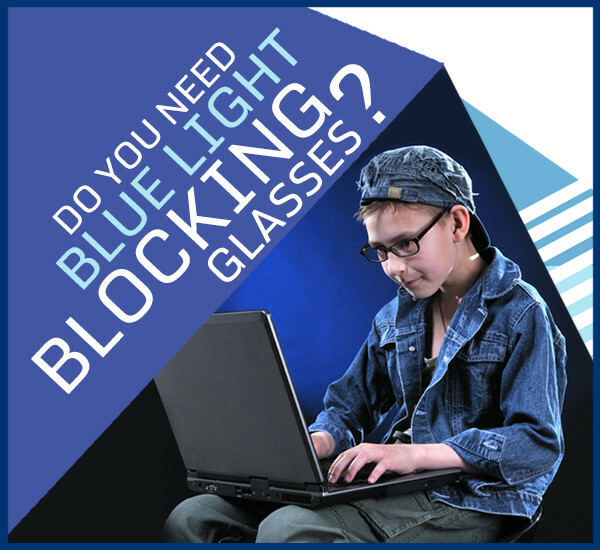 For more information about blue light, computer glasses and how to protect yourself, contact your eye doctor today. People who spend hours a day in front of a computer screen often suffer from unique eye problems. We craft specialized computer glasses that will help with extended smartphone and computer use. Another new, contemporary problem for eyesight is blue light, which is a high energy visible light that’s emitted by many electronic devices. Blue light can seriously threaten the health of your eyes, and there are custom-designed lenses that filter the harmful light out. We can fit you with the right lenses to minimize your eyestrain, upgrade visual comfort and protect you from the damaging effects of blue light.